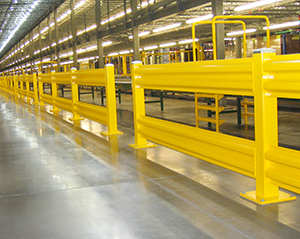 Wilgard® LT Rack Protectors are ideal for lighter-duty rack protection applications and can provide an extra measure of safety in your back-room storage facility, warehouse, or distribution center. 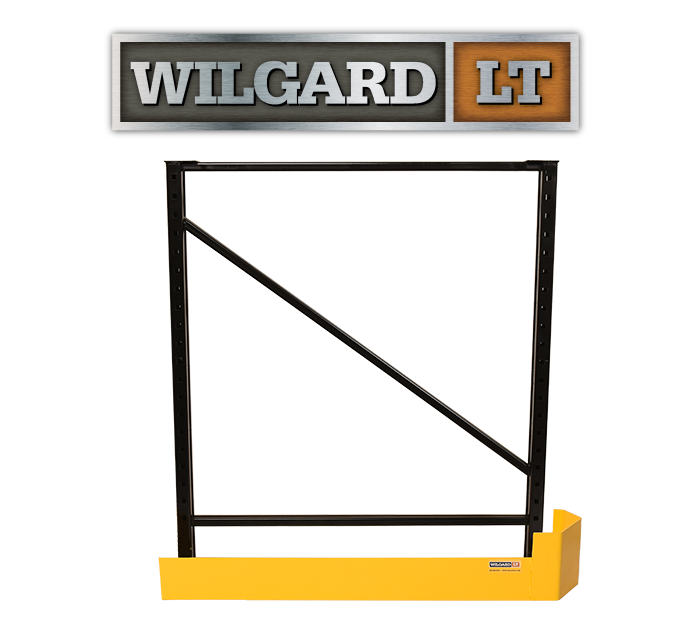 Wilgard® LT rack protectors can help avoid damage to expensive rack and inventory, while protecting you from costly facility repairs and downtime. 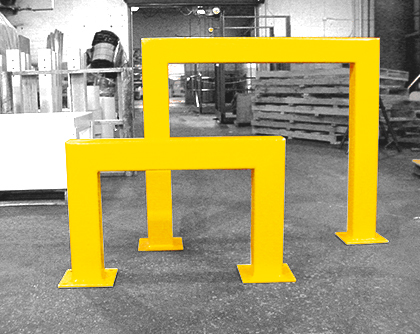 They are available as individual ‘Right-’ or ‘Left-Side’ rack protectors, or as a combined ‘Double-Headed’ rack protector. 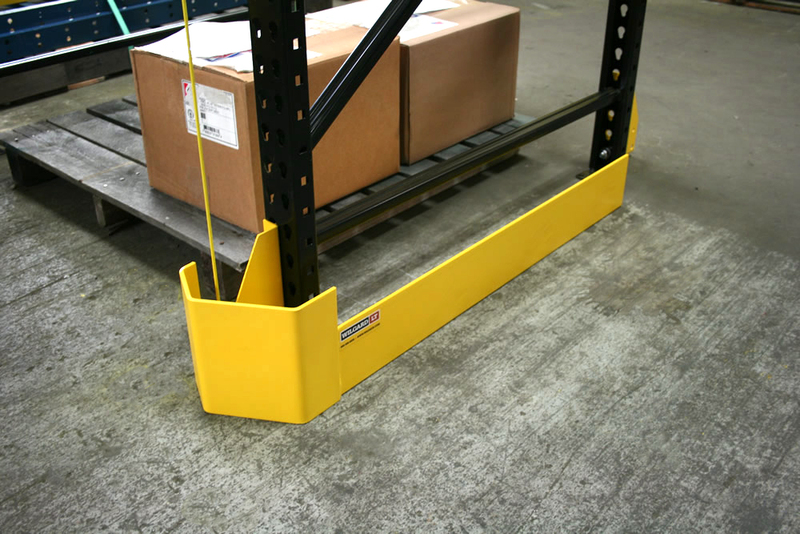 Wilgard® LT rack protectors are “Made-in-the-USA” and have a durable, safety yellow paint finish that can take the punishment that carts, pallet jacks and lighter-duty forklift trucks dish out every day. 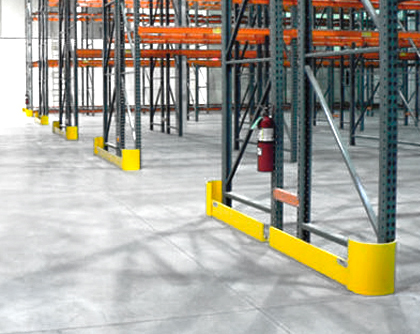 When properly anchored to your concrete floor with the included 1/2” x 5” Wedge Bolts, Wilgard® LT end-of-aisle rack protectors will help guard your investment without affecting aisle traffic flow patterns. 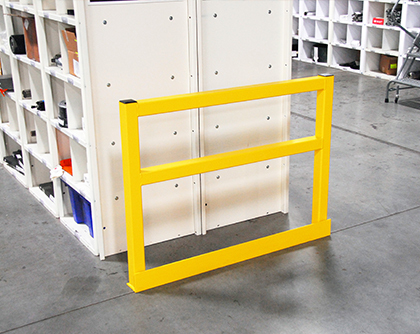 42" Right Side Protector WRPLT42-R 45" 30 lbs. 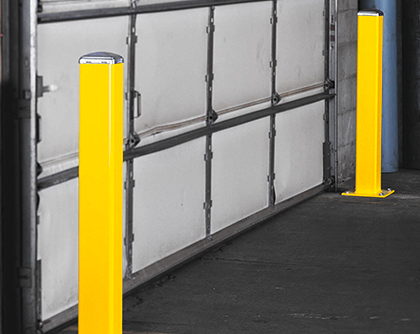 42" Left Side Protector WRPLT42-L 45" 30 lbs. 48" Right Side Protector WRPLT48-R 51" 35 lbs. 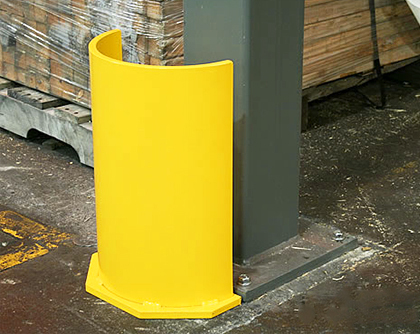 48" Left Side Protector WRPLT48-L 51" 35 lbs. 48" Extension Angle - LT WRPLT48-EXY 47 1/2" 27 lbs. 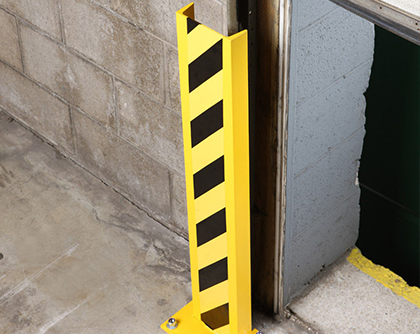 1/2” x 5” Anchor Pkg. 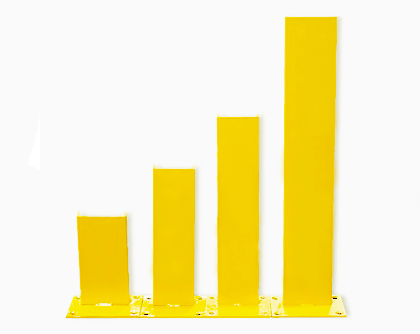 (3 anchors) WGR-PLHP N/A 1 lb. 42" Double-Headed Protector WRPLT42-D 49" 39 lbs. 48" Double-Headed Protector WRPLT48-D 54 1/2" 42 lbs.